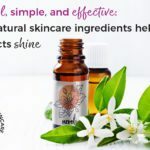 The natural anti aging skin care market is overflowing with products that aim to either combat all signs of aging or are targeted to fight particular signs of aging. Labels, adverts and packaging market products as containing certain ingredients and claim the ingredient(s) can, for example, ‘reduce the appearance of wrinkles,’ ‘help to improve the look of skin tone’ and ‘reduce the appearance of age spots’ – all the visible signs of skin aging – but which of these are really effective? Scientific research shows that molecule size, the chemical makeup of the ingredient and its mode of action are all integral factors in determining whether the ingredient can penetrate the skin’s robust barrier, and subsequently work at the deeper levels of the skin. 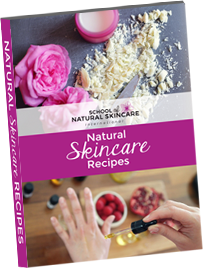 In this article, we have identified thirteen ingredients: extracts, oils, vitamins and acids (alpha hydroxy and beta hydroxy) that formulators know can penetrate the skin and work at deeper levels to prevent and counteract aging of the skin. We will look at each of these ingredients, what they do, and what types of product they are found in. 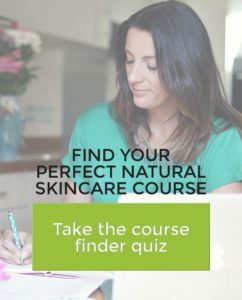 To use these ingredients in your skincare products, and really get the most from them, you’ll need to develop your skincare formulation skills. So before we dive into the 13 ingredients here is an invitation for you…. Formulating isn’t just for Cosmetic Scientists, it’s for you too. We’re going to show you how. Matcha is a special form of powdered green tea. Historically a Japanese tea drink, recent discoveries of its antioxidant benefits (more than that of regular green tea and other superfoods) has made it a popular ingredient in the world of anti-aging skincare. It delivers the benefits green tea does, but in a more concentrated, powerful manner. The regular green tea extract has the INCI Camellia Sinensis (Green Tea) Leaf Extract whereas Matcha has a different INCI, Camellia Sinensis (Green Tea) Leaf Powder. What type of product is it used in? Matcha green tea powder is used in rinse-off facial products such as face masks. Here is an example of a face mask formula that uses matcha. Matcha is also available in a carrier oil, so it can be used in other skincare products such as face creams, lotions and serums. Matcha is rich in polyphenol compounds called catechins, which makes it an extremely powerful antioxidant. In particular, the ECGC (also known as epigallocatechin 3-gallate) antioxidant present in matcha can prevent deterioration of cells in the skin, and thus slow down aging of the skin (1). Like most antioxidants, this property arises from its ability to neutralize free radicals from the sun’s UV radiation and other pollutants, and disrupt the free radical chain before they cause damage to the skin. In addition to this, its antioxidant effect may also inhibit the production of an enzyme that degrades structural proteins in the skin such as collagen and elastin, hence reducing or preventing the formation of wrinkles (2). Liquorice root extract is derived from the plant glycyrrhiza glabra. The extract is produced by boiling the root and evaporating the water. This is also where that sweet flavour in liquorice comes from! Leave-on products such as facial serums and oils, that ‘perfect’ the skin. Due to its lightening and brightening effects, it is also used in cleansing oils, creams, lotions and mists. The extract contains a phytoestrogen compound called glabridin, which stimulates collagen and hyaluronic acid synthesis – two key components that help prevent aging of the skin. This compound is also responsible for the skin lightening and brightening effects this extract has, taking dull and tired aged skin to radiant and glowing, youthful-looking skin. In addition, the extract containing compounds glabrene, isoliquiritigenin licuraside, isoliquiritin, and licochalcone A, allowing it to inhibit activity of an enzyme called tyrosinase (3), to help prevent melanin production that is often the cause of hyperpigmentation (age spots) occurring in aged skin. Soy bean extract is derived from soybeans. It is commonly found in leave-on products, for example face and neck serums and oils, eye creams, daily moisturizers and overnight creams. All these types of product target hydration, lifting and firming of the skin. Soy extract has powerful antioxidant properties whereby it can neutralize free radicals from sun exposure and other environmental pollutants before they inflict damage to the cells in the skin. It can also stimulate the production of hyaluronic acid (a water-binding molecule present within the skin) (4), which counteracts some of the characteristics of skin aging such as lack of hydration (ie dry, rough skin) and loss of elasticity (ie formation of wrinkles and fine lines and saggy skin). Furthermore, its ability to boost collagen production can also contribute to reducing the appearance of wrinkles, firm the skin, etc. Carrot tissue oil is a macerated oil made by extracting dried carrots in a carrier oil (most commonly sunflower oil). Primarily found in facial oils, serums and treatments which combat fine lines and wrinkles. The oil is rich in antioxidant provitamin A, beta carotene, which helps to repair the signs of aging, provide protection against further damage and provide moisturization. This is further enhanced by the presence of vitamin E. Collectively, these vitamins exhibit powerful antioxidant effects, and subsequently reduce damage to the skin by neutralizing free radicals from ultraviolet radiation and other environmental pollutants. Due to its bright orange color it’s best to use it at 10% of the formulation to avoid staining the skin. It will impart a lovely yellow to orange color to your end product and it can also be used to color cold process soaps. Pomegranate seed oil is formed by cold pressing of the seed of the pomegranate fruit. Present in a vast array of leave-on and wash-off products such as body lotions, creams, shower gels and cleansing oils, all of which generally focus on skin regeneration and firming aspects. 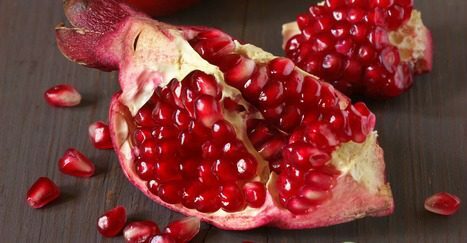 Pomegranate seed oil is made up of several anti-aging components. One component present in this oil is punicic acid, which is a unique fatty acid found only in pomegranate seed oil. It is thought that this acid provides hydration in the skin, and repairs the skin by regenerating cells that were damaged by the UV light. Moreover, it also stimulates collagen and elastin production in the skin which, when it deteriorates, is linked to saggy skin and wrinkles. All of these properties make pomegranate seed oil ideal for dry, mature and cracked skin. It’s also a wonderful addition for photoaged skin or sunburned skin. Rosehip seed oil is derived from the seeds of rose bushes through cold press extraction process where the oil is separated from the hips and seeds. Often used in leave-on facial oils, and skin treatment oils. Rosehip oil has significant anti-aging benefits due to it being packed with vitamins, antioxidants and fatty acids. It contains vitamins E, F and pro-vitamin A, which contribute to its antioxidant effect. The presence of vitamin A also stimulate collagen production in the skin, thereby reducing the appearance of wrinkles. 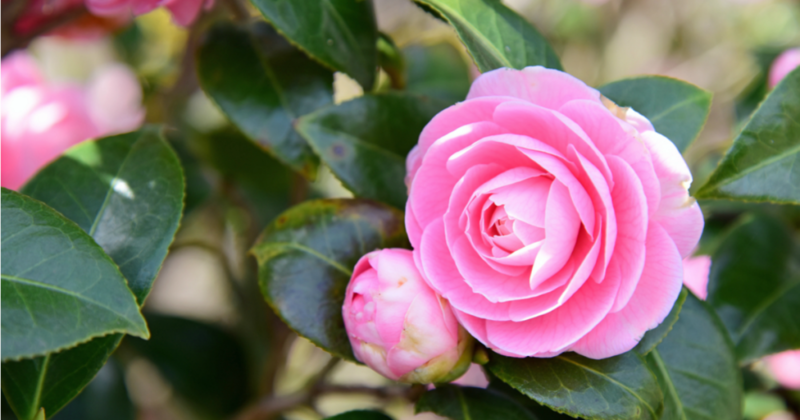 The fatty acid vitamin F works with vitamin A to help improve overall skin tone and texture..
Camellia japonica oil (also known as tsubaki oil) is derived via cold pressing from the seeds of the tea plant Camellia japonica. 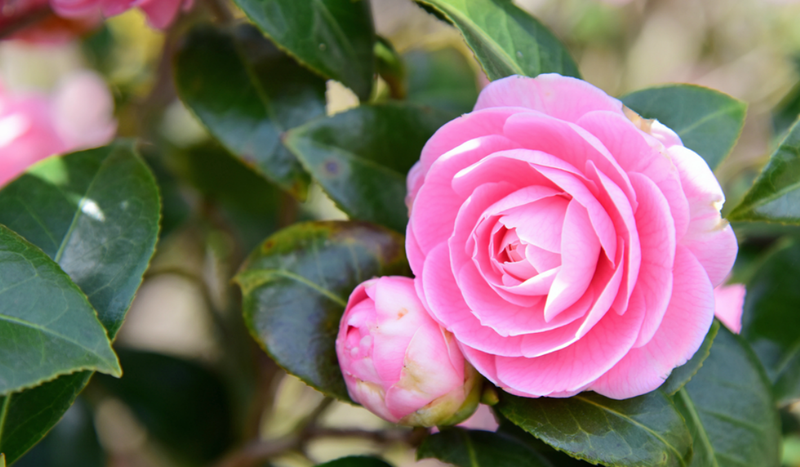 Note that camelia oil can come from other species as well, such as Camellia oleifera or Camellia sinensis. Historically this oil has been a personal care secret in Japan (5) and its remarkable anti-aging properties have only recently been discovered by western countries. Daily use, leave-on body creams and oils as well as facial oil. Tsubaki oil is rich in oleic acid and an assortment of vitamins, namely; vitamins A, D and E. Studies conducted on this oil have shown to increase procollagen, which is required in the process of collagen synthesis. In addition, it can also inhibit a collagen-degrading enzyme, hence maintaining skin elasticity, in aged skin. These properties contribute to its effectiveness in reducing the appearance of fine lines and wrinkles. Sunflower seed oil is obtained by crushing the seeds of sunflower plant helianthus annuus. Daily-use, leave-on products such as neck and facial creams, and oils targeted at prevention of wrinkles. Sunflower seed oil contains antioxidant vitamin E. It helps neutralize free radicals which can damage skin cells and lead to premature aging of the skin. It also protects the structural proteins in the skin such as collagen and elastin, thus preventing the formation of fine lines and wrinkles, and other characteristics of aging/aged skin. It is rich in linoleic acid which helps to protect and hydrate the epidermis. Vitamin C is a naturally occurring, water-soluble vitamin (also available in ester forms which are oil-soluble). 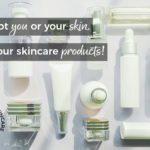 Although there are numerous forms, the most widely used forms in anti-aging skincare are the smaller molecule, more stable versions such as ascorbyl palmitate, ascorbyl tetraisopalmitate (oil-soluble version of vitamin C) and magnesium ascorbyl phosphate as these penetrate the skin better. Vitamin C is commonly found in leave-on products and some wash-off products such as eye treatment creams (also due to its skin brightening effects), microdermabrasion products, overnight creams, facial moisturizers and anti-aging serums for the face which help diminish appearance of fine lines and wrinkles, as well as make the skin look more radiant. Vitamin C is known to boost and regulate the production of collagen by taking part in a chemical reaction that takes place between collagen molecules. This provides structural support to the skin, thus preventing formation of wrinkles, fine lines and saggy skin. Moreover, studies on vitamin C has also shown that it can inhibit collagen-degrading enzymes such as matrixmetalloproteinase (MMP- 1), also known as enzyme collagenase-1 (6), thus again protecting and maintaining the elasticity of the skin. In addition to the above, vitamin C is also a powerful antioxidant that provides protection from free radicals produced by the ultraviolet radiation from the sun and other environmental stressors. It does this by neutralizing free radicals and disrupting the chain, consequently, it can prevent and reduce damage which leads to the formation of wrinkles and aging of the skin. Vitamin E is a fat-soluble compound that exists in various forms. The most predominant form being naturally occurring alpha-tocopheryl, which is also the most commonly used form of vitamin E in skincare products. 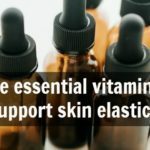 Vitamin E is found in a vast array of daily-use both leave-on and wash products such as body and facial oils and serums, moisturizers for lips, body and face, facial cleansers, scrubs, washes, and deep cleansing masks. It can also be found in overnight, day and eye creams, as well as body washes, shower creams, bath milks and hand washes. Of the anti-aging product types it is found in, its purpose is often to help regenerate and repair the skin to reduce the appearance of wrinkles. Vitamin E is known to provide many benefits to skin which justifies its use in many types of skincare product. Its main use is an an antioxidant. This attribute is also essential in supporting the skin’s elasticity and preventing the formation of wrinkles. Its potent antioxidant property allows it to protect against reactive oxygen species (ROS) (commonly known as free radicals), which are produced when the skin is exposed to the sunlight and environmental pollutants. The free radicals are neutralized by vitamin E and the free radical chain is also disrupted by the vitamin to prevent and/or minimize damage to structural proteins in the skin such as collagen and elastin. Vitamin A palmitate is a vitamin A derivative that is classified as a fat-soluble, unsaturated organic compound belonging to the retinoid family. It is commonly used in skincare formulations due to its stable nature and also due to the molecule size: they can penetrate the skin to have greater anti-aging effects. 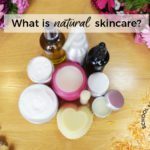 It is generally found in leave-on products that can be incorporated into your daily skincare regime such as overnight creams, gels and serums, as well as eye creams that combat fine lines and wrinkles. There is scientific evidence showing that retinyl palmitate acts directly on the collagen metabolism and stimulate production of collagen and elastic fibres (6). Moreover, studies have also shown it can also thicken the epidermis and synthesize collagen in aged skin (7). In addition to this, retinol is also a potent antioxidant and it is this attribute which enables it to induce collagen biosynthesis and reduce the expression of an enzyme that breaks bonds in collagen called MMP-1 (Collagenase 1) (8). Consequently, retinyl palmitate can help build collagen fibres within the dermis, helping to strengthen the tissues in the skin, restore elasticity in the skin, and thus, repair or improve more efficiently (for example) wrinkles and fine lines caused by frequent sun exposure. Glycolic acid belongs to a group of chemicals called alpha hydroxy acids, familiarly known as AHAs for short. 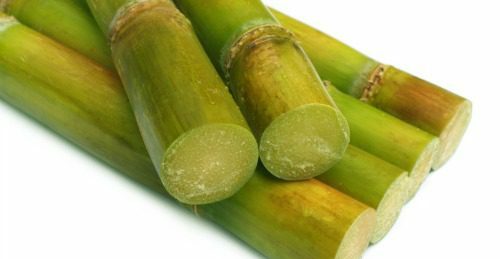 It is naturally occurring, and can be derived from cane sugar. It can be found in daily-use leave on and wash-off formulas such as facial cleansers, serums, creams and non-abrasive exfoliating products. Glycolic acid is known to stimulate the production of both collagen and elastin, thus smoothing out fine lines and wrinkles. It also a powerful exfoliant, therefore it increases the turnover of cells in the skin’s outermost layer, transforming rough, dull and wrinkled skin to smooth, radiant and younger-looking skin. Salicylic acid belongs to a group of chemicals called beta hydroxy acids, commonly known in the beauty industry as BHAs. It is extracted from the bark of the willow tree. It can be found in daily-use leave on facial cleansers, serums, lotions, creams and non-abrasive exfoliating products. Salicylic acid just like glycolic acid is a powerful exfoliant, therefore it removes cells from the surface of the skin which in turn, helps to improve skin tone and texture, as well as reduce the appearance of wrinkles and hyperpigmentation (eg age spots). It is often combined with alpha hydroxy acids to intensify the anti-aging effects of a product. It is clear that all of these natural ingredients have proven effects on either preventing the signs of aging or repairing the signs of aging, yet it is important to note that the correct percentages of these ingredients must be used, to allow either to occur. 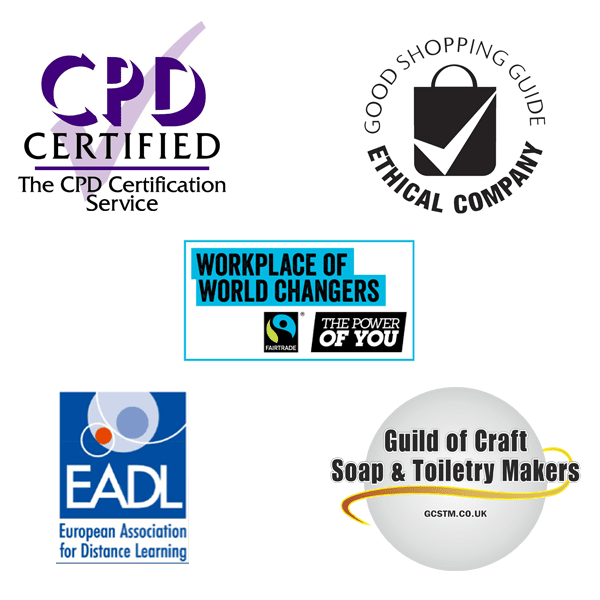 If you’d like to learn how to create your own skincare products using ingredients like these then you’ll love our Diploma in Natural Skincare Formulation – enrolling now! Want to know how you can change a recipe and make it yours? Feel confident swapping or choosing ingredients? 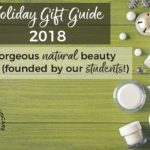 Design a skincare product from scratch? 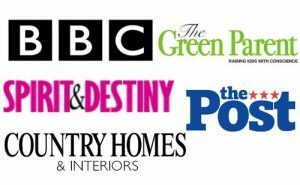 Create a best-selling product that your customers buy again and again? 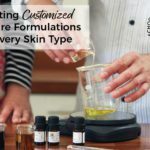 We're going to take you on a journey to help you move from where you are now to understand what formulating is and how you can create awesome skincare products from scratch. (1) Dermatol Surg. 2005 Jul; 31(7 Pt 2): 855-60; discussion 860. Double-blinded, placebo-controlled trial of green tea extracts in the clinical and histologic appearance of photoaging skin. Chiu AE1, Chan JL, Kern DG, Kohler S, Rehmus WE, Kimball AB. (2) BMC Complement Altern Med. 2009; 9: 27.Published online 2009 Aug doi: 10.1186/1472-6882-9-27. Anti-collagenase, anti-elastase and anti-oxidant activities of extracts from 21 plants Tamsyn SA Thring,1 Pauline Hili,2 and Declan P Naughton. (3) Evid Based Complement Alternat Med. 2013; 2013: 827248. Published online 2013 Jan 29. doi: 10.1155/2013/827248 Skin aging: Natural Weapons and Strategies, Ivana Binic, Viktor Lazarevic, Milanka Ljubenovic, Jelena Mojsa, Dusan Sokolovic. (4) Genistein and daidzein stimulate hyaluronic acid production in transforms human keratinocyte culture and hairless mouse skin. Miyazaki K et al. Skin. Pharmacol. Appl. Skin. Physiol, 15(3): 175-83. 2002.